This week we kicked off our 100 Acts of Kindness Challenge and we've been doing a Kindness Scavenger Hunt along with filling up our Kindness Tree. 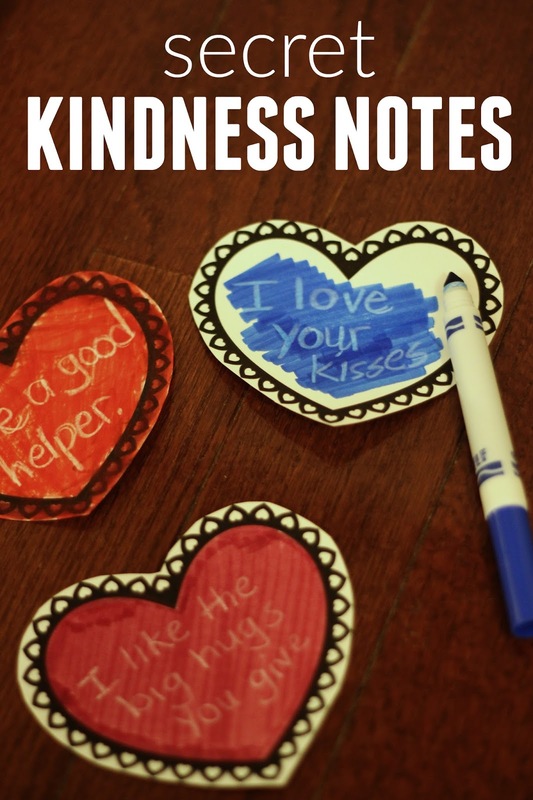 We are always looking for new ways to spread kindness, so we thought it would be fun to make some super secret kindness notes to give to friends, strangers, teachers, or even siblings. 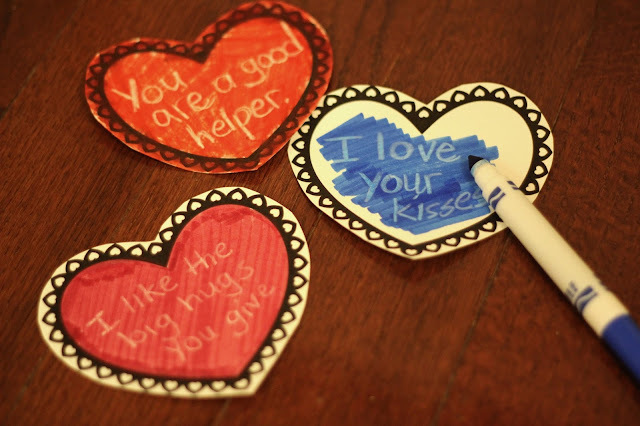 We saw this magic heart word activity from Playdough to Plato and it inspired this secret kindness notes activity. To make secret kindness notes you just need to write a secret note on a piece of cardstock using a white crayon. 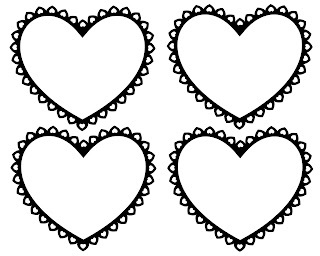 We had fun writing notes on our little kindness coupon strips and also on our secret kindness hearts. 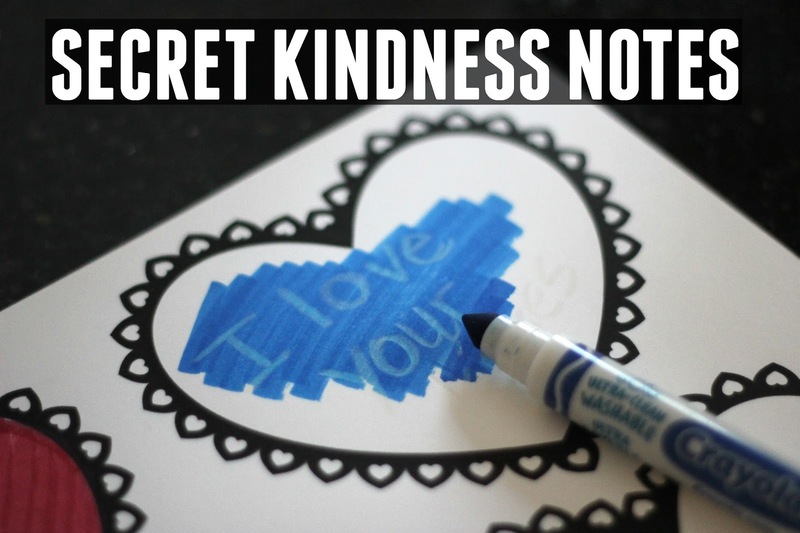 Filled in secret kindness notes can be left somewhere where friends or family members (or whoever) will find them. 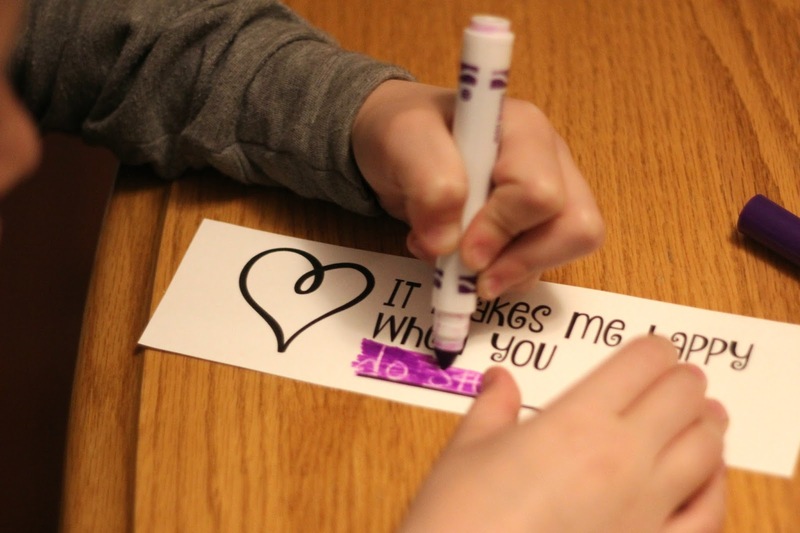 In order to discover the secret messages all people need to do is color over the message with a dark marker and VOILA!... the message will appear! Our kindness printables are great to use with kids who need a little help with coming up with ideas. My kids had so much fun writing these notes and sharing them with each other. 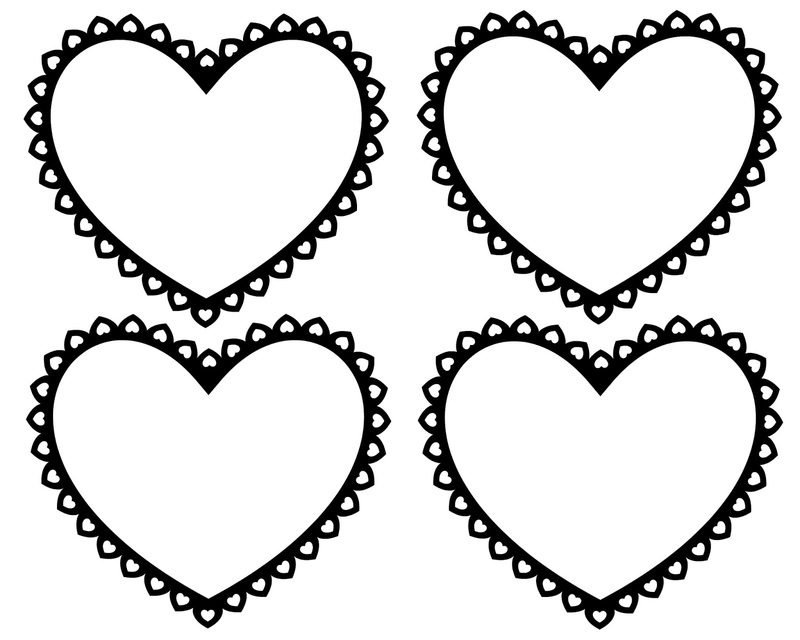 Click on the links below to download our secret kindness printables. I just pinned this AND sent it to all my kids to do with their kids. Great idea, and thanks for the printables.